Saint Valentines day is not only the best time to get engaged ( that’s your fiance’s job – help him with a some good engagement ring tips) but also the perfect time to choose a wedding item we all dream of – some amazing blue earrings that will be a statement of your wedding your entire life. A cute blue lace saw onto your wedding gown or some bold shoes are a good way to incorporate something blue into your attire, but nothing says forever like diamonds do. So this Valentines hop onto allurez.com and choose the most alluring set of earrings you will ever dream of. These are some of the ones I absolutely love and would definitely recommend my brides to opt for. At Allurez they pride themselves in proving superior jewelry, great value, and exceptional customer service and have the best jeweler’s in the industry crafting your jewelry in their factory in New York, USA. So make your sapphire dream come true and make sure you get your 50% off for this special day! If you’re already planning your seaside retreat for the summer next year then you’ll be pleased to know about this first trend, because it’s all about channelling that classic beach hut vibe. Think plenty of stripes in a variety of bright, vibrant colours. Reds and blues for that nautical twist, as well as pastels for a softer look. It ties in perfectly with another spring trend: yellow. It will be bursting out of the shops in a huge array of shades, patterns, floral designs and accessories, so look out for a stripy yellow dress if you want to be bang on trend. There hasn’t been much love for the kitten heels of late, but these are all over the French designs on the runways for 2017. From peep toes to ankle boots, the kitten heels have slowly crept back into street style, and they’re a way of adding a touch of elegance to an otherwise casual outfit. One thing is clear from looking at the torso of every model on the runway: the shoulders are what matter in 2017. Whether it’s the asymmetrical cut-out look that has everyone going wild, or the drop shoulder that creates that romantic gypsy style, you’ll find an exposed shoulder everywhere you turn. When it comes to accessorising, I’d always try to highlight the dropped shoulder even more, by adding a bracelet layer over the top of the sleeve – you can check out a variety of different designs and materials right here, for your own unique look. One thing’s for sure, you’ll be dusting off your collection of waist belts this spring to help accentuate your waist. At least, that’s what’s been happening at this year’s fashion shows: from supple leather to chainmail and studded fabric, there were hundreds of belts on the catwalk to state plainly that waistlines never need to be boring again. If you’re an hour-glass figure, you’ll probably be more drawn to the corset styles and waist-cinchers, but don’t discount the fold-over waist either for something a little subtler. Finally, fuchsia seems to have taken over the runway completely. From the stunning cape dresses of Valentino to robes and even trench coats, for a sure-fire way to brighten up your spring, this is the trend for you. If you have a summer ball, take inspiration from the stunning Hermès tulle skirted evening gown. Have you heard of any other big fashion trends on the horizon? Led by 4th generation co-guardians, Fred, Alain and Pascal Mouawad, and backed by more than a century of excellence in its field, Mouawad remains a family business built upon artistic excellence, superb craftsmanship, trust and relationships. Mouawad designs, manufactures and sells its own exclusive jewelry and timepiece collections ranging from boutique items to objects of art and magnificent haute joaillerie and masterpieces. Don’t forget to share the gowns you like on Facebook, Twitter and Pinterest, it means the world to us. Bridal hairstyles are incomplete without bridal hair jewelries. These not only adorn the hairstyle but are also essential bridal jewelry. A bridal hair jewelry comprises of beads, jewel comb, jewel hair pins, Maang tika, Tiara, Strands of pearls and many more. A maang tika is a traditional bridal hair jewelry that consists of two parts. The maang ( string ) rests on the center hair parting via small hook that allows it to get attached to the hair. Whereas the tikka (pendant) rests on the forehead. I love when a bride decides to be daring and amp up her bridal gown with a bold statement necklace. It’s an unexpected twist, and it’s the perfect compliment to almost any dress. You can find statement necklaces in so many different styles: chunky beads, vintage pearls, fabric floral, or sparkling rhinestones. It’s hard to go wrong with jewelry that has classic, ageless appeal with a fresh modern updated look. We live in a world where styles come and go and the phrase “everything that is old is new again” is said time and again, but we aren’t pulling out our old clothes to wear them again because the styles are always being updated for our time. Inspired by the endless energy of New York, Harry Winston opened his doors in 1932, and began a process of transformation. Winston transformed diamonds into art and revolutionized modern jewelry design. With enduring optimism, new generations of Winston designers and craftsmen collaborate to create infinitely beautiful jewels of unsurpassed style. Perfect for the romantic bride Renata Bernardo is the living proof that less is sometimes more. Check our her collection and make sure she has retailers in your city – Renata is a brazilian jewelry designer that recently started getting notices worldwide. Please contact the designer for authorized retailers and pricing information. Check our Bridal Designers Directory for similar gowns. Don’t forget to share the gowns you like on Facebook, Twitter and Pinterest, it means the world to us.Please contact the designer for authorized retailers and pricing information. 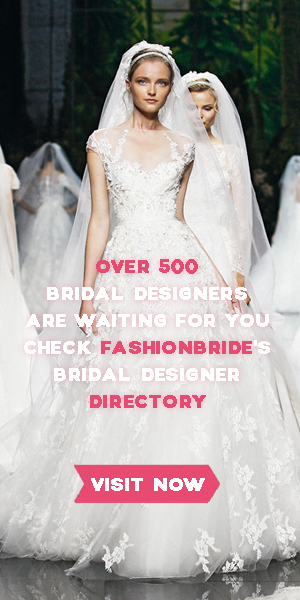 Check our Bridal Designers Directory for similar gowns. Don’t forget to share the gowns you like on Facebook, Twitter and Pinterest, it means the world to us. A friend of Coco Chanel, American costume jewellery designer Miriam Haskell was one of the first women to turn her creativity into a business in the early twentieth century. The new collection continues her legacy; an old school glamour that, today, is favored by the likes of Joan Crawford and the Duchess of Windsor. You are currently browsing the archives for the Jewelry Guide category.